As we’ve ticked over into 2018, your organisation has likely done some strategic planning around your people and culture goals for the year ahead – and how you plan to achieve them. But have you considered how the changing external world will impact on these goals, and the future of people in your organisation? The spread of technology in recent decades has completely redefined how organisations work – and things only continue to change. What was relevant only a few years ago may already be completely outdated. 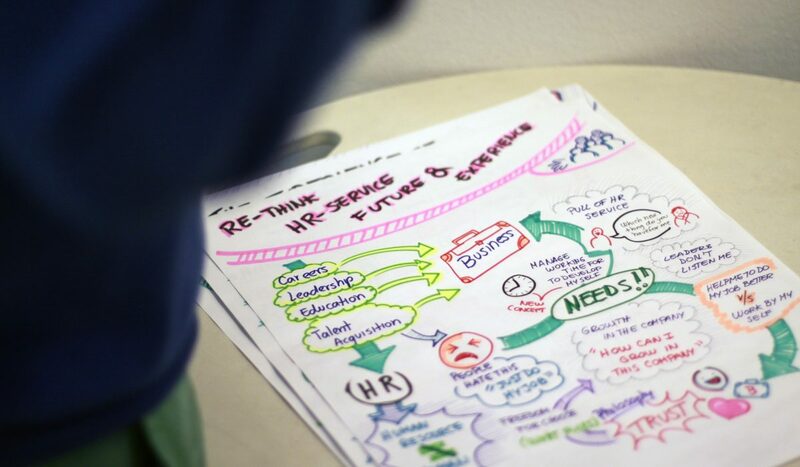 So when it comes to HR, what does the future hold? In 2018, NFPs will need to take a new approach to the way people are managed. Why? The workforce as we know it is over, with traditional structures becoming increasingly outmoded and ineffective. With Generation Z now well and truly coming of age, generational diversity in the workplace is wider than ever before – and the ‘one size fits all’ approach to people management just doesn’t fly anymore. Adding to the diversity of the workplace will be the growth of the already booming gig economy, which will see more NFPs employing freelancers, contract workers and interns to work alongside the full-time workforce. In fact, according to a recent study conducted by Fieldglass, the average organisation employs full-time workers at a proportion of just 54 percent, with the rest of the workforce supplemented by freelancers, contractors, and part-time and remote workers. This blended workforce will certainly pose new challenges for HR, calling for increased personalisation of HR processes and an increased focus on your organisation’s employee experience. This will be facilitated by an increased reliance on data to make HR and people decisions, as well as tailored learning opportunities for staff, and also more work flexibility for staff. The good news? As not-for-profits, the focus on distinct needs of different segments of the workforce – like that of volunteers vs paid staff – have likely always been present in your organisation . That means NFPs are well placed to manage this evolution to greater personalisation of employee experience. Artificial intelligence (AI) has been around for years, infiltrating a range of industries and sectors in a number of ways. But the prohibitive cost has kept it out of reach for many NFPs. That may begin to change in 2018, when tech platforms become more accessible to NFPs than ever before. Both HRD Australia and EmployeeConnect, for instance, suggest that “chatbots” will begin to enter the recruitment landscape in 2018, allowing the online candidate experience to be personalised by automating functions like interview scheduling and candidate assessment. On top of that, technological advances will impact HR significantly in their ability to automate other low productivity or repetitive tasks, like basic administration, onboarding and performance measurement. For example, an early adopter of this technology is Save The Children Australia, which has been automating various recruitment, onboarding and people management activities since 2014. These developments don’t necessarily mean job losses, instead leaving staff free to focus on more critical HR activities – like conducting high-quality interviews – which will only serve to boost the quality and happiness of people in your the organisation. Ultimately, in 2018 HR departments need to begin to figure out how to leverage new technology to its fullest advantage. “Agile” is more than a buzzword – it’s a new way of working, adapted from software development processes, and characterised by an iterative, incremental method of working, with a focus on experimentation and feedback from users to solve problems. While agile processes and new technologies have been seeping into organisations from many angles, HR has often been left to do things as they were always done. But in 2018, HR departments need to be ready to adopt more agile processes and structures in a way that’s responsive to changes both in the external environment and internal organisational culture. Rigid hierarchical structures can prove increasingly obstructive in today’s climate of constant change, potentially acting as an impediment to progress, innovation and the successful delivery of services. That doesn’t mean hierarchy needs to be abandoned – it may just need to be implemented in a different way. For instance, some NFPs are already shifting to more empowered teams and decentralised leadership, which also serve to foster all-important collaboration and teamwork. Bottom line: The world is changing, and HR – and people management more broadly – will will need to change with it, or be left behind. How do you think these trends will impact on your organisation in 2018? Please share your insights in the comments below.